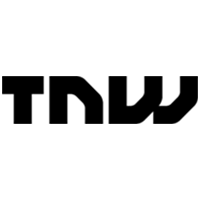 Linden Lab®, the creators of Second Life®, is building a new social VR project called Sansar. 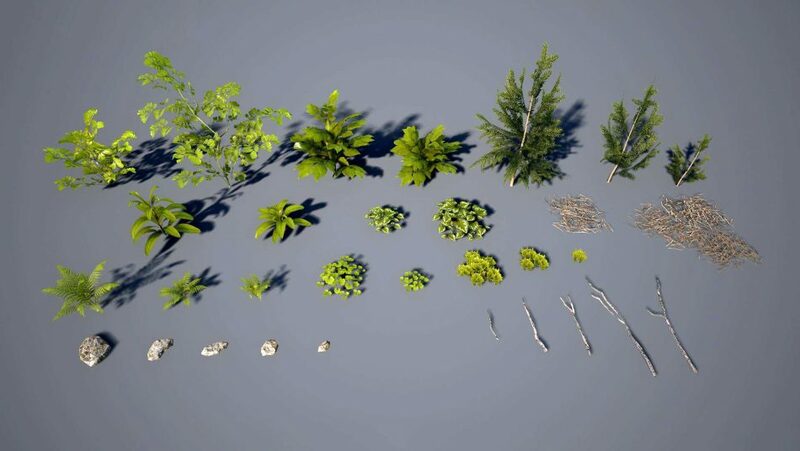 Our Director Anrick was invited to become an early creator and help test this new platform for creating social virtual experiences. 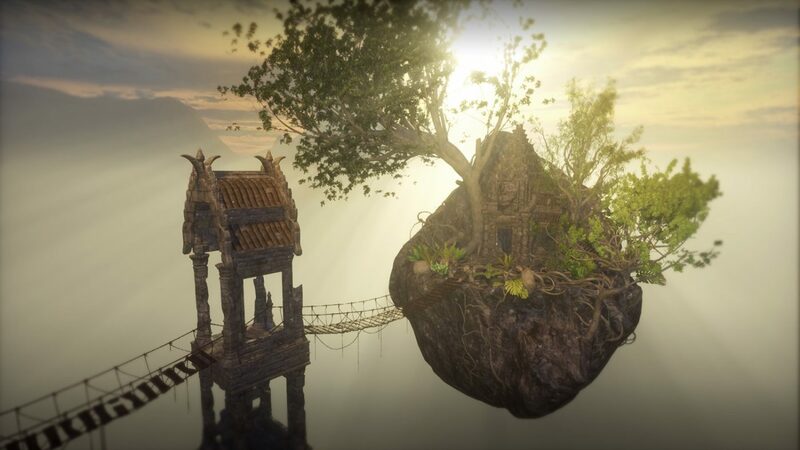 Project Sansar will democratize virtual reality as a creative medium. It will empower people to easily create, share, and monetize their own multi-user, interactive virtual experiences, without requiring engineering resources. 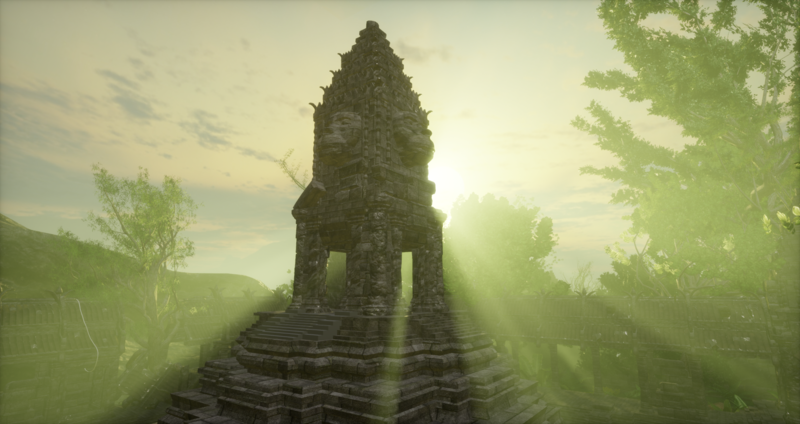 Users can explore and socialize within Project Sansar experiences through advanced expressive avatars, using text and voice chat. 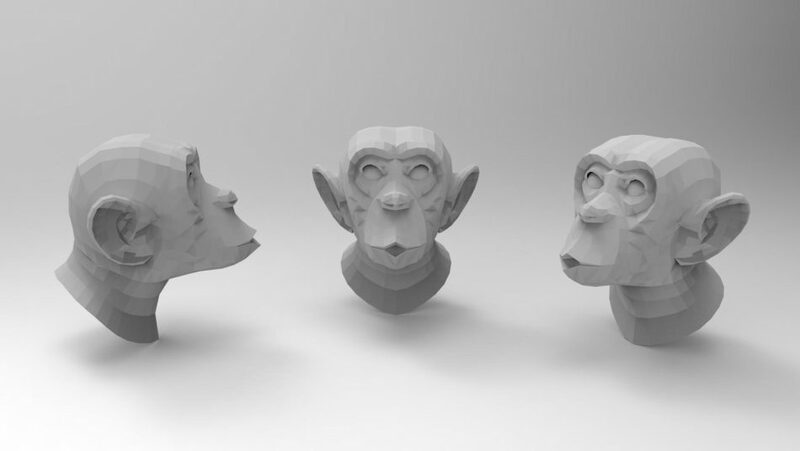 Anrick, working with a small R&D team in UNIT9, set out to create a space dominated by old ruins, and adorned with stone-carved monkey heads. A monkey temple. It would become a lush, jungle environment full of trees and plants, it would have majestic but crumbling towers, large courtyards, but equally small narrow walkways. With stunning views, have some activities for people to play with as well. Most importantly, we’ll have a secret garden, hidden away for the more adventurous people to discover. 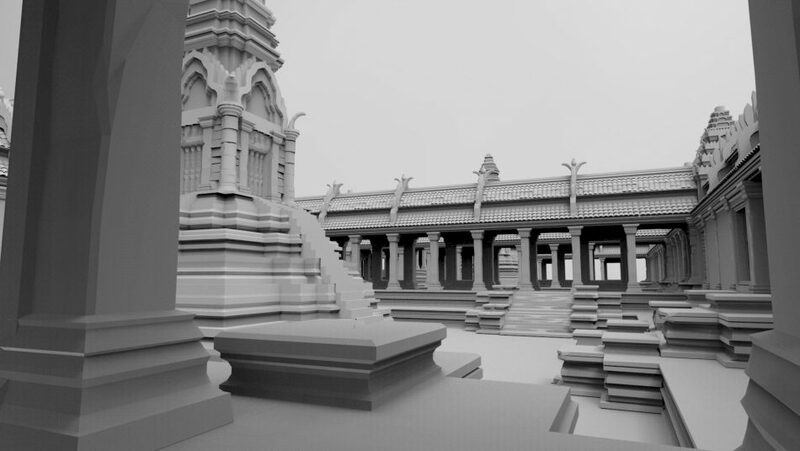 We first started to sculpt our space in Maya, constructing the building blocks before importing things into Sansar itself. 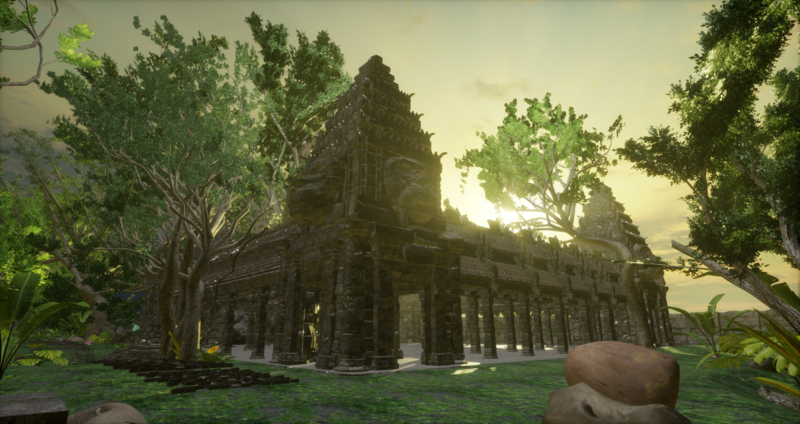 But our first priority was to create a large library of green assets, plants and trees – generated in Speedtree – to populate our jungle environment before starting to build the temple structures themselves. 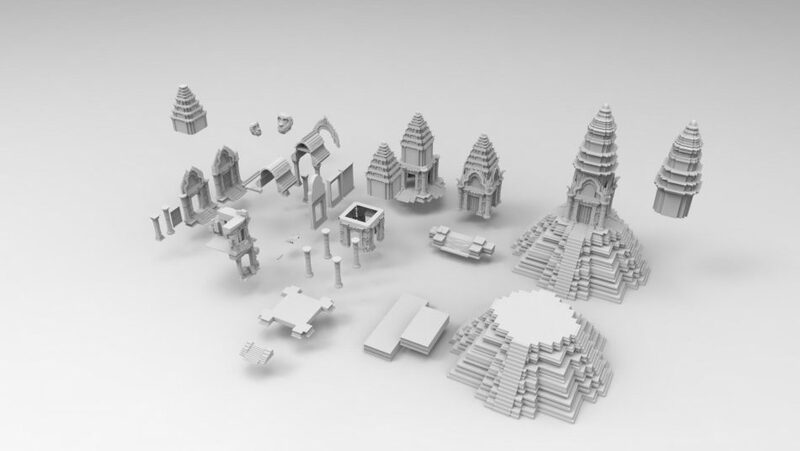 We then started to design the temple structures themselves. We were inspired by both the famous Angkor Wat temples in Cambodia, as well as the ancient Mayan ruins that you can find in South America. Our Monkey Temple is a mixture of them both. 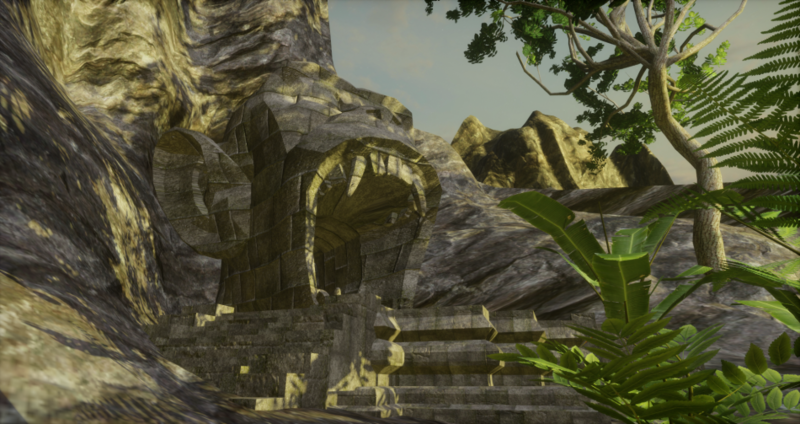 The temple buildings feature two larger monkey heads, carved into the architecture, a floating island for some solitude, and one giant monkey head, with a wide open mouth, which has the ability to teleport you to a hidden garden. Most types of sports that we play or watch are versions of ancient games that people used to play in prehistoric times. 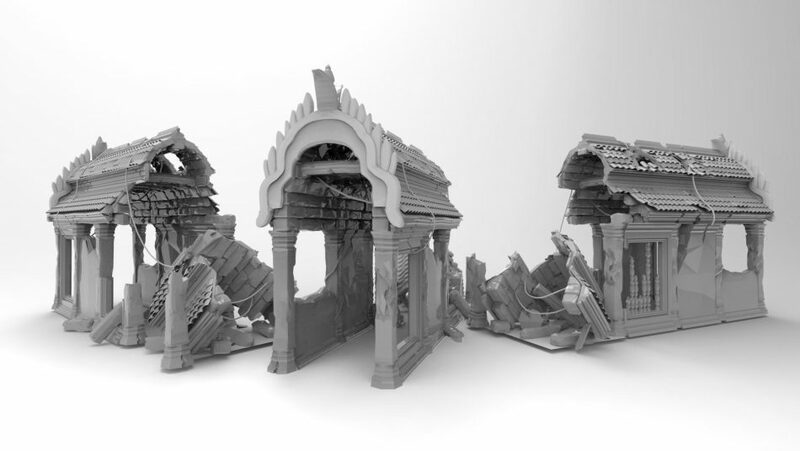 We wanted to capture that history in a small way, by bringing those sports back into our monkey temple ruins. We built 3 activities you can play with other people. Basketball Throwing stone monkey heads through one or several hoops. Jeux de Boule Throwing stone monkey heads to be close to a central statue or stone carving. Football Kicking a monkey head through two opposing goal posts. The central feature of the temple grounds is a huge intricately carved display of many monkey shapes, inspired by the classic Roman architecture and with a nod to the works of Gaudi, in particular, the facade of the Sagrada Famiglia. 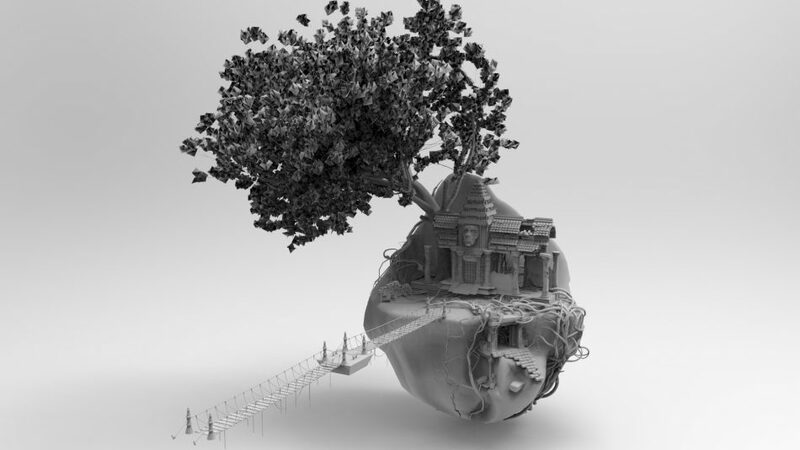 It was built in Maya by our 3d Artist Will. 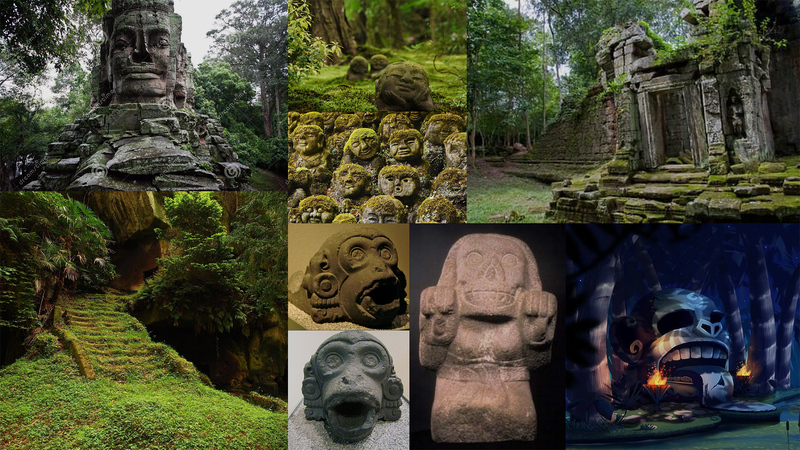 There are any number of stone monkey heads to be discovered around the grounds of the temple. 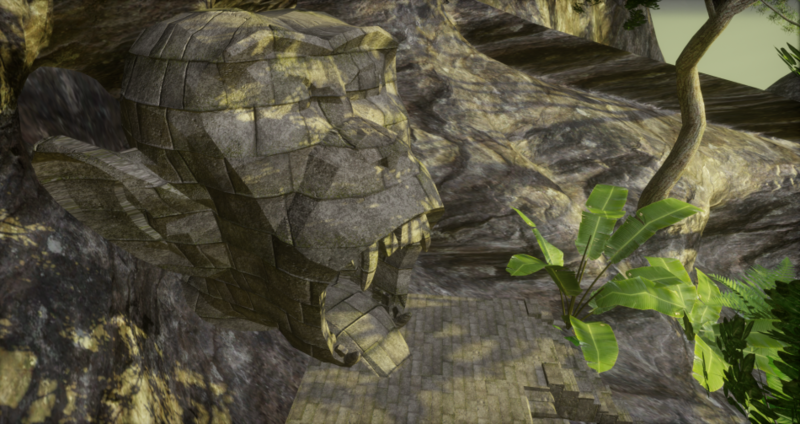 But the biggest monkey head has a mystical power to transport you up to a hidden garden. 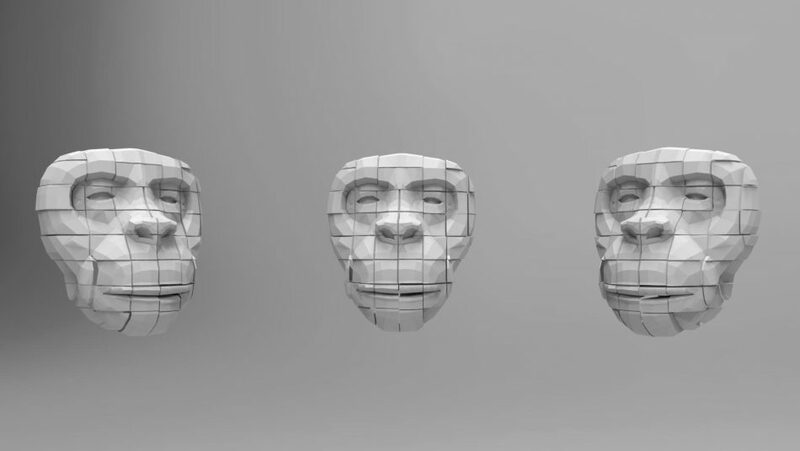 All you have to do is walk through the mouth of this large carved monkey. Your reward for this act of bravery is a magnificent view from the hilltop garden over the whole space, with the sun setting in the distance. 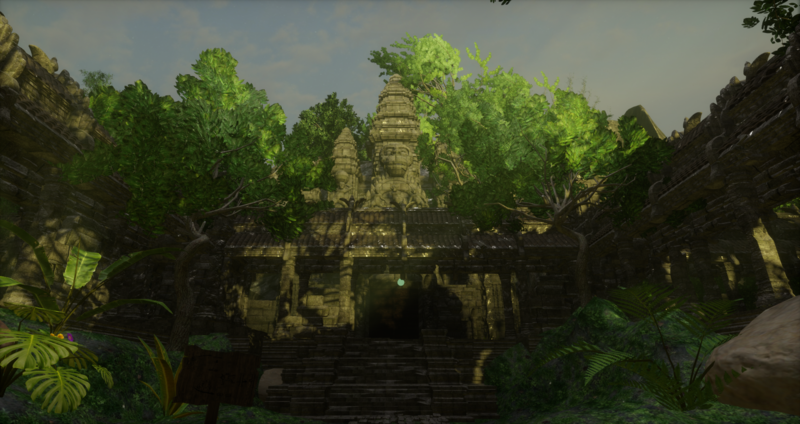 Working within the Sansar editor was a fantastic experience, it’s fun, intuitive, and strikes the perfect balance between simplifying the pipeline and yet, not taking away the ability to make something visually compelling and believable. Working within a VR headset, and editing your space at scale feels so natural, and has a touch of magic to it, as if you have superpowers. We spent a lot of time tweaking the carefully blended effects of the sunlight, two hidden ‘flood lights’ and the foggy haze that emerges from the humid tropical air. The mixture of these four elements creates a sense of magical sunlight, with stunning godrays filtering through the leaves and branches of the foliage. A very powerful way to add some mystery, Ridley Scott style.